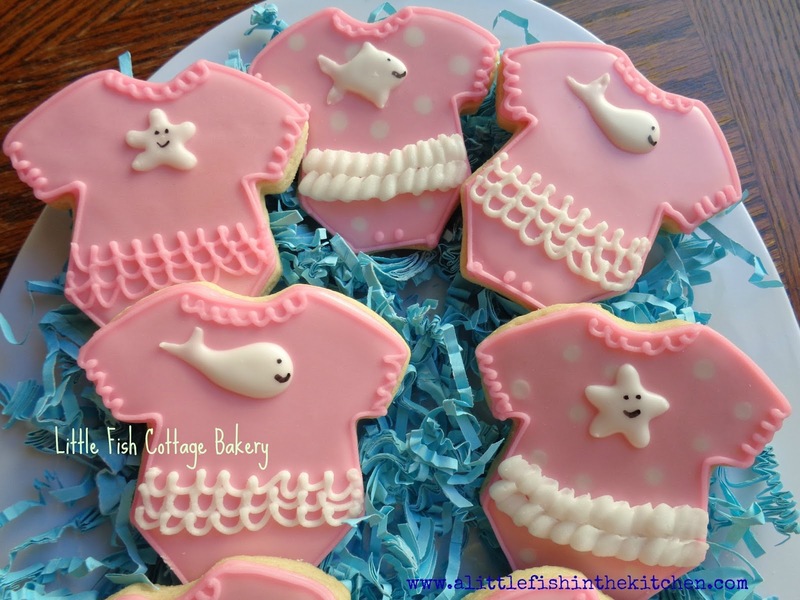 Sweet, Girly Under the Sea Cookies! 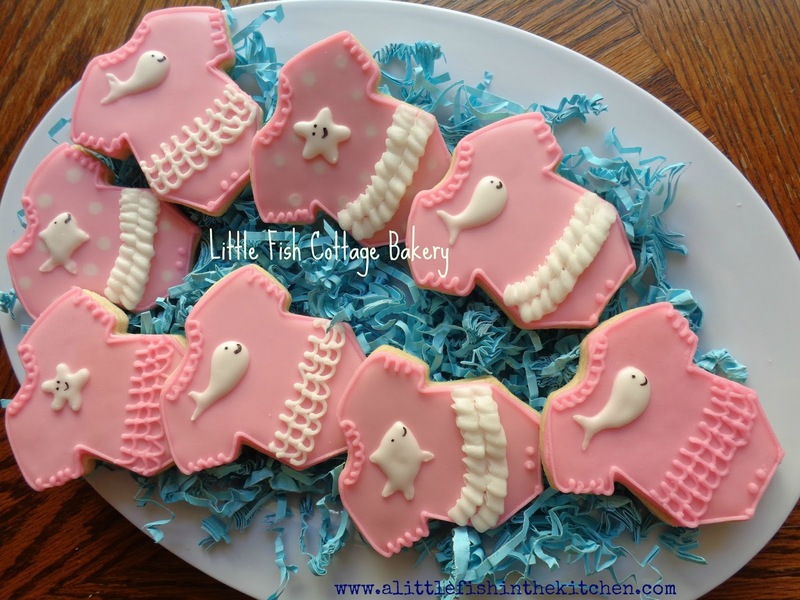 This is just a quick picture post of some adorable, girly, under-the-sea theme cookies I made. Overall, I was very happy with how the decoration on these turned out! Believe me, there was some pretty intense concentration going on in my little kitchen last night as I piped each and every fish, starfish and whale completely freehand! After they were all done, I was seriously on the fence about putting faces on the the little creatures. 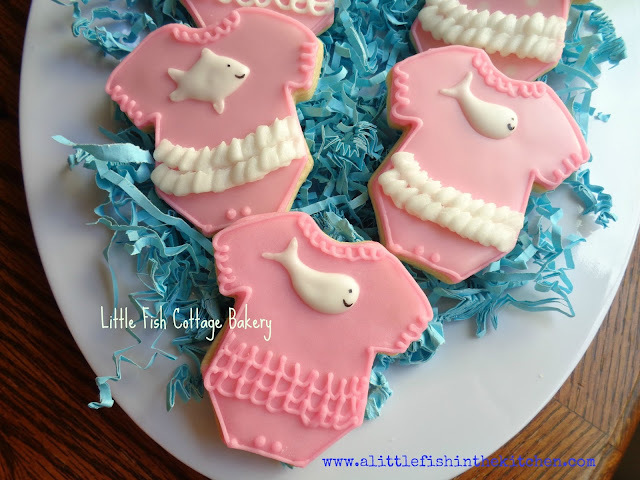 But, I decided to add the little happy faces because they were just so cute and perfect for celebrating the upcoming arrival a little, baby girl!